One of the most excruciating sensations in life is the feeling of being out of place. When we know that, however successful our façade, we just don’t fit in. A scenario that perfectly illustrates our point: the gentleman at afternoon tea. Dragged along by a peer, we sit around a table in uncomfortable chairs, constantly peering at each other around overly ornate tiered stands. 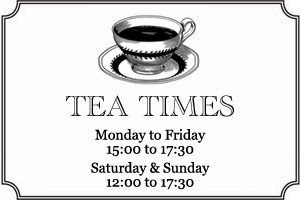 There is no mention of a builder’s brew, instead a carefully curated selection of fanciful leaves requiring multiple steps to serve. The food, too, violates every childhood lesson of eating one’s crusts. 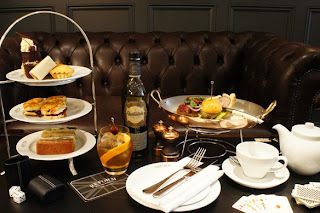 It’s not the concept of afternoon tea that we object to at Gatsby; any excuse to add another meal to the day is a welcome change. 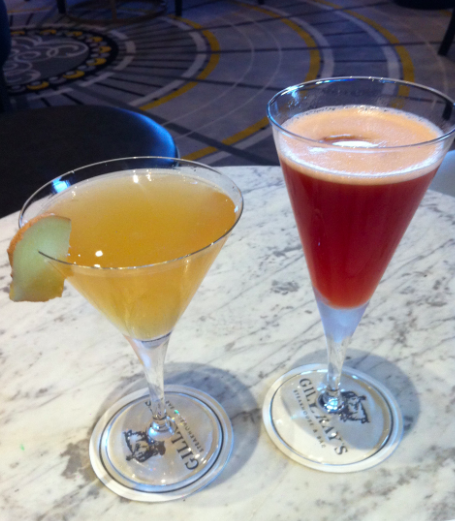 We’re just looking for something that caters to a different audience. Less dainty, more daring. Over the course of our search we did in fact find the solution. 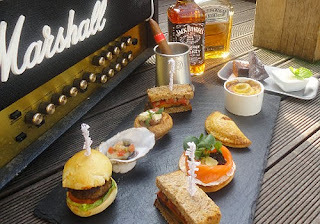 The Gentleman’s Afternoon Tea. Gone are the chintzy stands and those paper doilies – we challenge you to find a cupcake on the menu. Amongst the venues and menus that we scouted, two sprang to our attention. 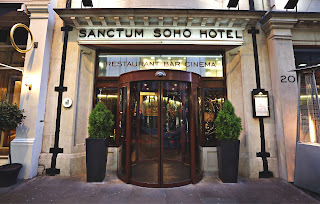 Those offered by the Sanctum Soho Hotel and the Reform Social & Grill. 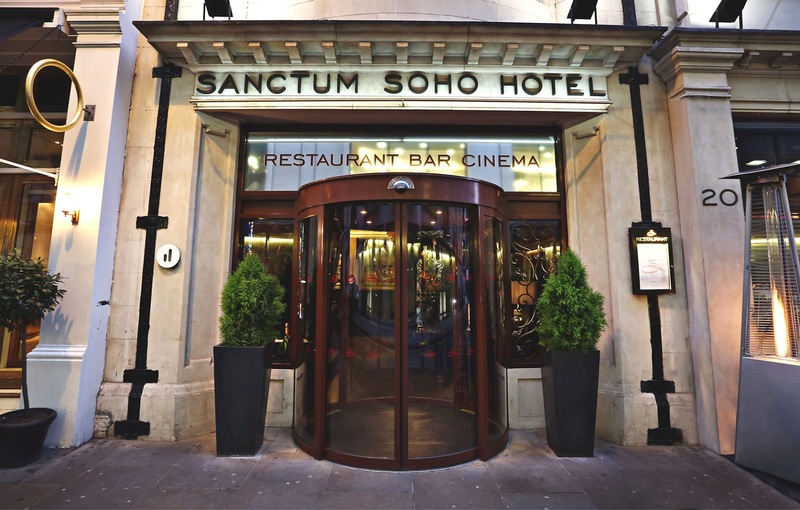 The Sanctum takes the vertical display of the traditional afternoon tea and completely removes it. Instead food is spread over a large slate plate. The feel is immediately more masculine. In terms of food, the kitchen has opted to miniaturise several British classics – dishes include a mini beef burger, mini pasty and roast beef inside a Yorkshire pudding. To quench thirst they have Jack Daniels on tap and you may round the entire event off with a cigar. 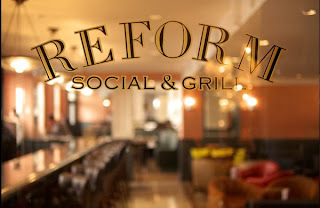 The Reform Social & Grill opts for a slightly different take: the tiered serving dishes remain, although they are decidedly more functional. The burger is again on offer as well as another pastry favourite the sausage roll, whilst there are stranger alternatives like snail sandwiches. Accompanying the meal are classic whisky cocktails and a selection of newspapers, poker and backgammon sets, should the mood take you. With chesterfield sofas to relax on, there’s no doubt as to the masculinity of the place. 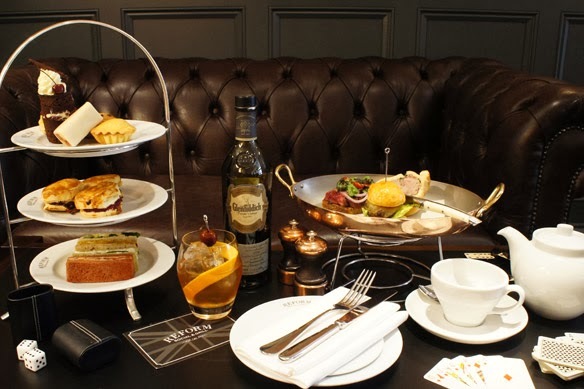 Both venues offer a significantly different experience to what the Duchess of Bedford originally created and we’re willing to bet that as far as meeting friends for the afternoon goes, it’s better than being confined to a coffee chain. This is not to disapprove of any man who does, in fact, enjoy their fondant fancies, clotted cream and pot of peppermint. But in the company of his friends, at a little bit further afield it certainly beats the pub garden. Oh, and you won’t find any crust-less sandwiches either.